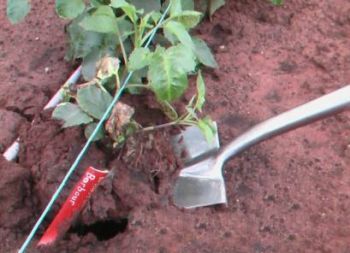 What Pests & Diseases do Dahlias get? Common pests that can affect Dahlias are Thrips, Aphids, Two Spotted Mite, White Fly, Cut Worms, Mealy Bug, Snails, Powdery Mildew. and Virus. 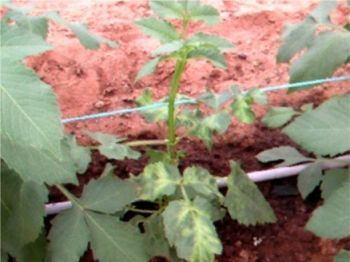 When Controlling Pests it is very advisable to understand what your chemical will control. It is best to use Specific Chemical for a Specific Pest. If you use a “Kill-All Spray” you are likely to wipe out most of the predators (Goodies). Without Predators the number of Thrip/Aphids will explode because there are no “Goodies” to assist controlling them. If you want to know what to use contact your Garden Centre or chemical supplier & ask for the product for the specific pest. It is advisable to rotate your brand of chemical to reduce any buildup of resistance. 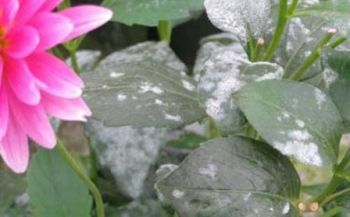 The first signs of Powdery Mildew is the appearance of that Greyish White Powdery looking stuff. This can explode in a matter of days covering all the leaves. The signs of an infection are usually first seen on the lower leaves of the plant. 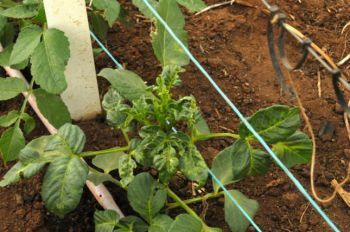 Heavy infections of Powdery Mildew will affect any seed collection and the reduced vigour of the plant will affect the development of the tubers. 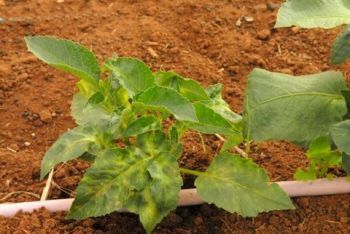 Virus appears in a variety of forms and severely distorts leaves & stunts plants. Any infected plants will only continue to infect surrounding plants. THEY WILL NOT COME GOOD NEXT YEAR. 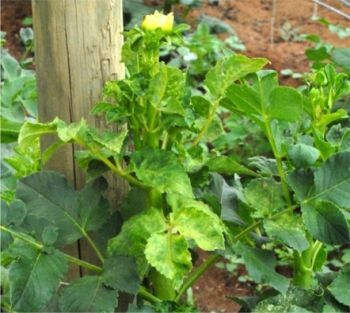 If the affected plant is not removed the virus will be transferred to neighbouring plants magnifying the problem for the following season. 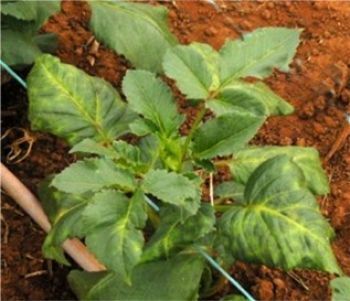 I say “Virus in Dahlias is the same as Aids in Humans”, there is no cure. How do I know it is Virus? 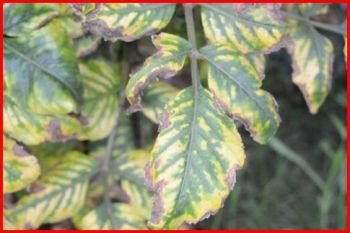 If your plant is stunted, leaves are twisted & curled and all the main veins on the leaves are yellow. These symptoms are very easily confused with a mineral deficiency.